We always expect the most from the companies that provide our food but why not for our pets?! With a few of our pets aging, we have learned to transition them into a healthier lifestyle incorporating more natural foods into their diets. Against the Grain, International Veterinary Sciences, and Evangers have helped us do exactly that. With three large breed dogs who are all very different, we try to give them all high quality foods and supplements. 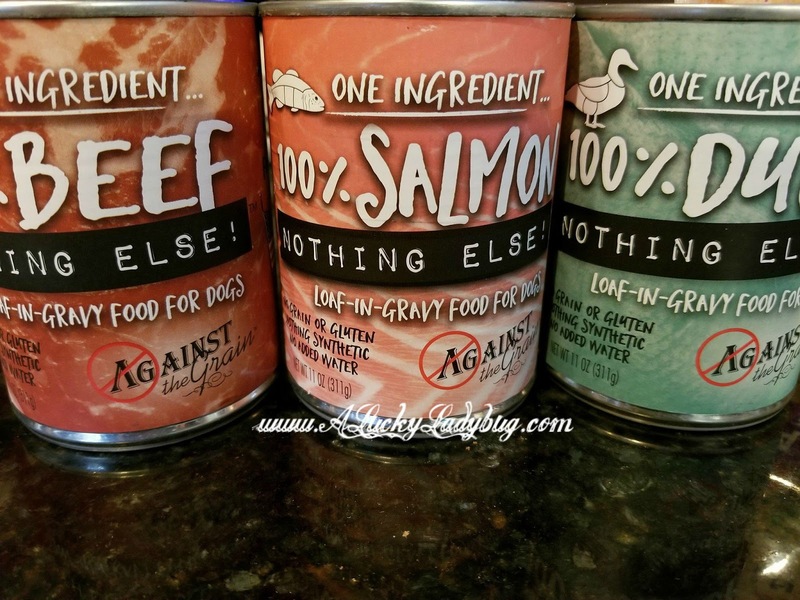 We had the opportunity to try the following products: Against the Grain One Ingredient 100% (Beef, Salmon, and Duck) canned food, Evanger's Chicken and Brown Rice dry dog food, Evanger's Nothing But Natural Grain Free Jerky Treats, IVS Lipiderm Fish Oil, and the IVS Arthramine Healthy Joints + Bones. 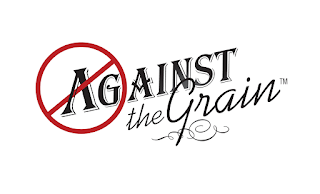 "Against the Grain foods include at least 85% meat and always 0% grain. 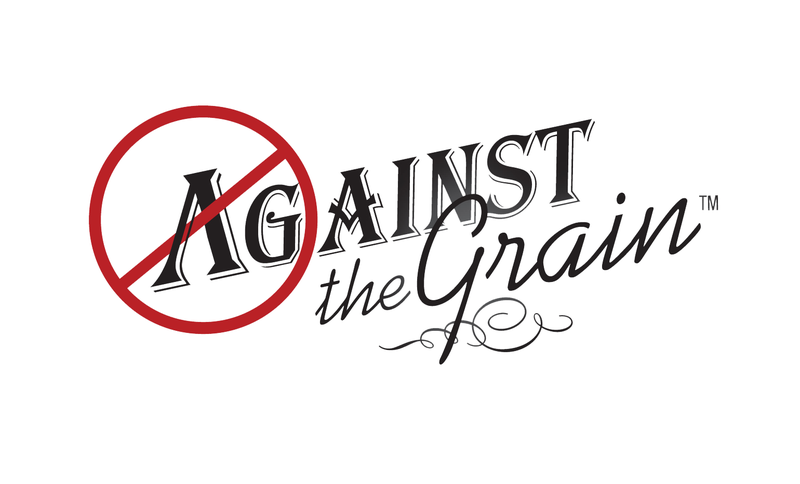 Using all fresh ingredients, Against the Grain foods never include growth hormones, antibiotics, GMO, corn, wheat, or soy and are gluten-free. They're high quality meat dominant foods are made from hand-selected curators. From dolphin-safe and turtle-safe fresh-caught fish to recyclable materials in their retail packaging Against the Grain uses sustainable and green resources." 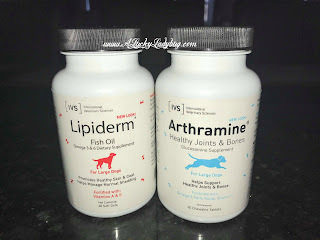 "International Veterinary Sciences uses the highest quality Human-Grade standards and ingredients all MADE IN THE USA and in GMP and FDA facilities, IVS products are both effective and safe." 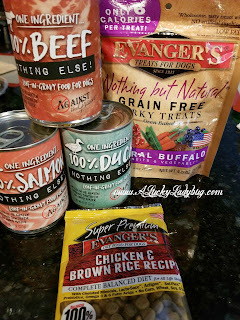 "Evanger's has been a family-owned and operated pet food cannery in the United States since 1935. All Evanger's foods are made with completely human-grade, highly palatable and nutritious foods which are blended with natural vitamins and minerals. They never include soy, corn, wheat, artificial ingredients, preservatives, harmful additives or by-products." All 3 of our dogs eat just about anything they can get their mouthes on (non-edible too) so we need to make sure we are maintaining a healthy diet just to keep their systems in check. 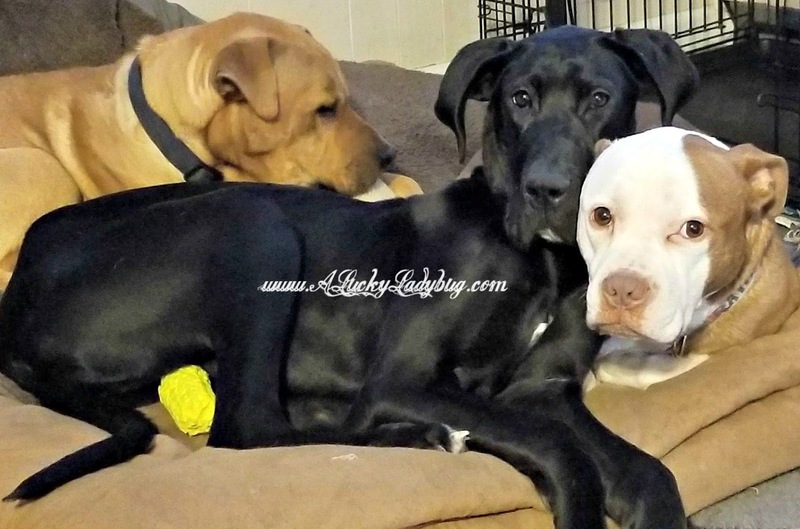 Not only are they all larger breed dogs but we've got a Great Dane puppy now so we've become much more aware of the side effects that poor quality food can have on a dogs stomach such as bloat which can even quickly cause death. It's for this very reason that we've become so focused on brands like Evangers, IVS, and Against the Grain. Food, treats, and supplements are an important part of our fur families daily routine. Not that I expected any of them to turn up their noses because these products were all natural or anything but they each gobbled up each of the foods. We already use the Evanger's dry food and they love it on a regular basis. 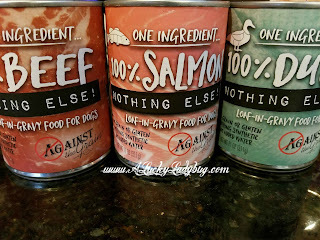 The Against the Grain One Ingredient 100% Beef canned dog food was definitely the group favorite! 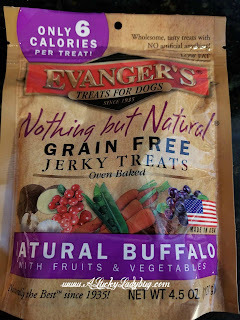 My furry kiddos were quite content with their surprise Evanger's Nothing But Natural Grain Free Jerky Dog Treats! We've been using them as both a potty training treat and a treat for the older dogs when our Great Dane gets her early morning meal so they don't feel left out. 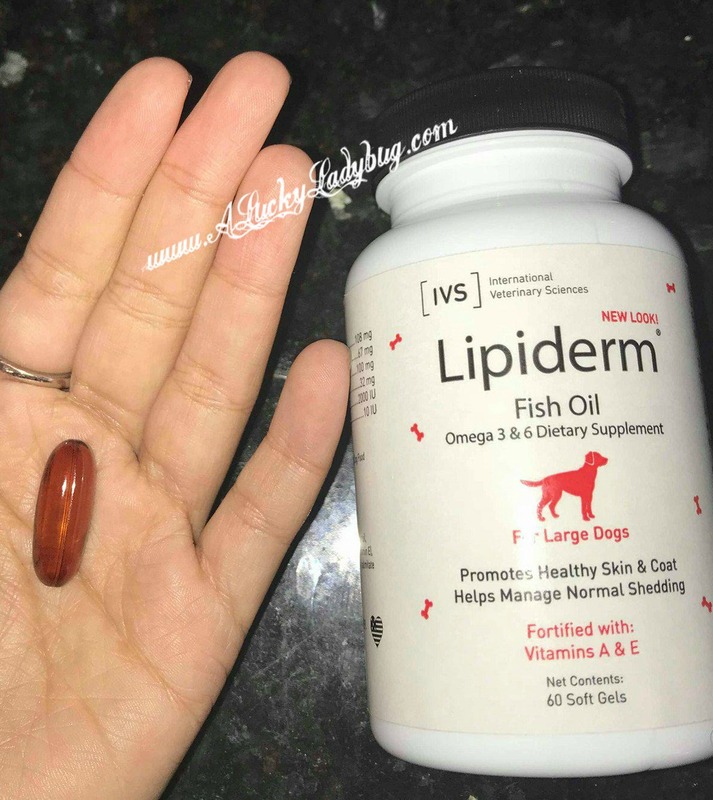 The Lipiderm® Skin + Coat Care has been great for keeping their coats shiny and reducing shedding. We've been adding this to each of their daily evening meal. Having an older dog in our house and Giant Breed puppy, we know that hip, joint, and bone health is very important. 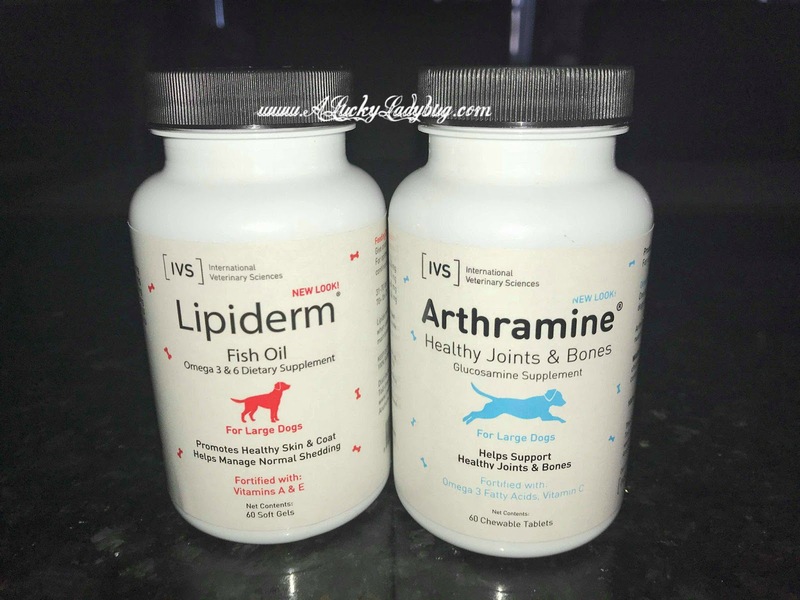 Because of the issues our Great Dane could potentially have as she gets older and the times that our older girl seems to struggles to keep up, we knew we wanted to start on a better track to maintaining their hip health as best we could. 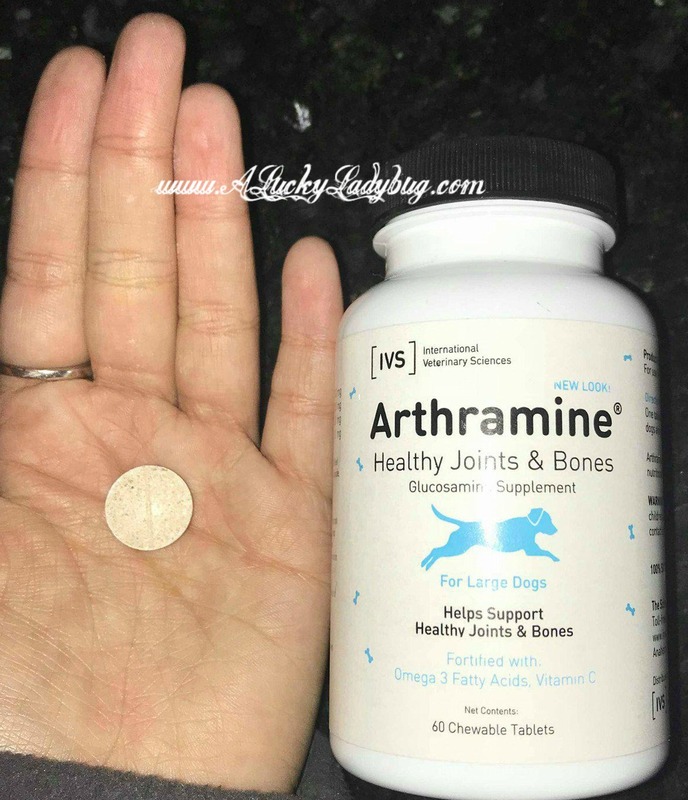 The Arthramine® Bone + Joint Care has been great for keeping them in tip top shape from the inside out.